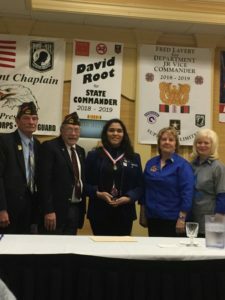 The VFW held their yearly Mid-Winter Conference this weekend where the annual Voice of Democracy and Patriot’s Pen Scholarship applicants competed. 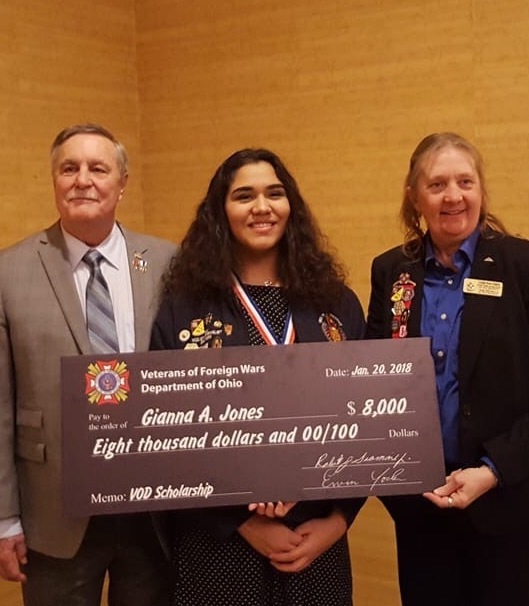 Warren G. Harding student, Gianna Jones, was selected for being the VFW and Auxiliary Post 1090, District 8 and Department of Ohio winner this year. 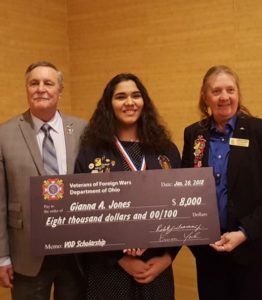 She will go on to compete at the National level in March! 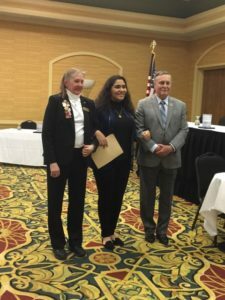 If you have a 3.2 GPA or above and have all A’s, B’s and C’s, you can apply for academic recognition through Warren G. Harding’s Renaissance Program. Click here, or the picture below to fill out an online application. Stop by the library or look for the yellow folders by the elevators if you want to us a print application. If you have any questions, stop in the library and talk to Mrs. Angelo. Parent Teacher conferences will take place on February 7 and 8, 2018 from 4:00 PM – 7:00PM. Online sign-ups have ended, but please call the school at (330) 841-2316 if you would like to be scheduled for a conference in any of the remaining time slots. 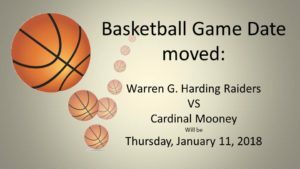 Warren G. Harding Vs. Cardinal Mooney: January 11, 2018, JV @ 5:30 with Varsity to follow. 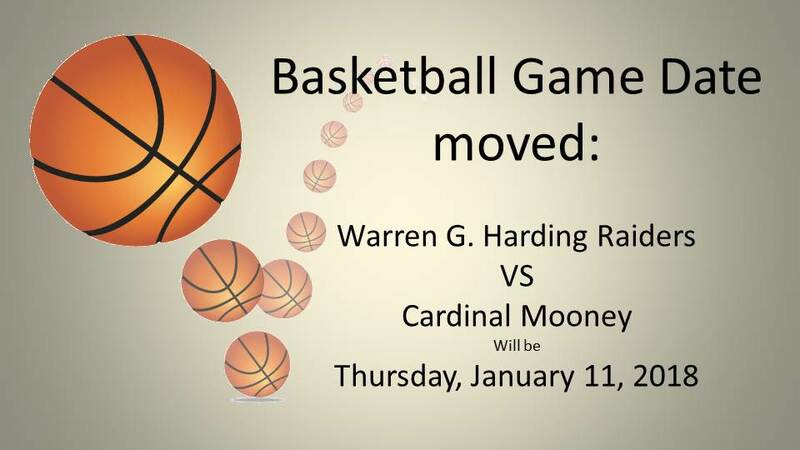 WGH Boys’ JV and Varsity basketball games against Cardinal Mooney have been moved from Friday, January 12 to Thursday, January 11. The Junior Varsity Game will begin at 5:30PM and the Varsity game will follow.